I’ve been a vegetarian for almost 3 years I think. I haven’t really been keeping track but I’m pretty sure I was closing in on 3 years. For about 4 months I’ve been having a struggle in my head as to why. I was never really a big meat eater, although I would occasionally enjoy different meats, but not very often. So when I had decided to become a vegetarian, it wasn’t very difficult for me to make the transition. For about 4 months I’d been wondering to myself why I am vegetarian. It had become more of a religion to me and had gotten to the point where I really didn’t know why I was doing it. Tonight I have decided to toss out the label that I assumed years ago and I cooked a blackened salmon dinner. This isn’t a gateway into the world of meat addiction, I really don’t see my diet changing all that drastically. Instead of chicken, I’ll always prefer seitan or tofu, its delicious. That part of me has not changed, and I will not be eating fast food like Whoppers or Big Macs because I don’t want to die when I’m 50 or weight 400 pounds. Tonight I wanted a piece of fish and that’s exactly what I made. I am declaring myself no longer a vegetarian, but a healthy eater. With that being said, lets get to some beer. 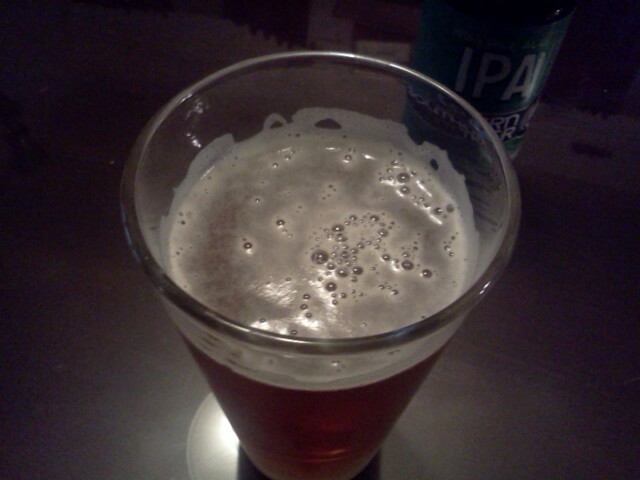 The Southern Tier IPA won’t blow your mind, but its a decent quick beer to drink when there’s limited selection. Tonight I enjoyed a glass of Southern Tier IPA from the Southern Tier Brewing Company of Lakewood, New York. I have had a few beers from Southern Tier and my thoughts remain the same after each one. Southern Tier makes a decent beer. Its not amazing and its not awful. It’s just plain decent and its a beer that I will get if I’m out at a bar that has a limited selection. The beer has a decent helping of citrus and hops and doesn’t leave an undesirable, lingering bitterness in your mouth. This is actually a beer that I thought tasted a little better as it got warmer, becoming sweeter but still maintaining a decent malty flavor. 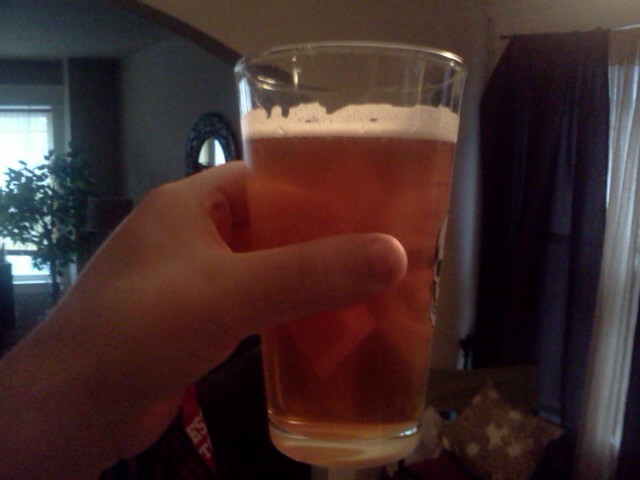 I poured the beer into a standard pint glass where it displayed nice color and mild carbonation. A loyal companion to a blackened salmon. Overall, the Southern Tier IPA would be more of a casual beer that I would keep in my fridge. It goes well with spicy food and is reasonably priced.